Mike Martz: Will He Stay or Will He Go? 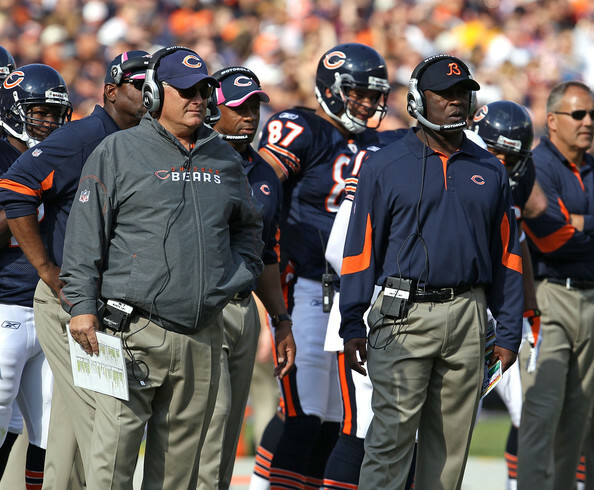 The rumor mill is starting to churn regarding the status of Chicago Bears Offensive Coordinator Mike Martz. With his contract expiring at the end of this season and quite a bit of offensive inconsistencies, many fans are wondering will Mr. Martz bite Bears dust? During a press conference Wednesday afternoon, Lovie Smith snapped when asked if he planned on bringing Martz back. “What kind of question is that anyway?” Smith said, angrily. “At this time, what kind of question is that? Why would you ask a question like that anyway?” reports Comcast SportsNet. Yes, the question was a bit out of line, considering coaching evaluations are not done until after the season is complete, but his reaction doesn’t bode much confidence on the return of Martz next year. Normally, we would expect a traditional “Mike Martz is our Offensive Coordinator,” from the smooth sailing Smith. We looked impressive in our season opener against Atlanta – offense, defense, and special teams all successful. The next 6 games were a bit rough, not looking dominate in much of anything offensively. We skated by ending up 4-3 going into our bye week. Much of the criticism was pointed at Martz, looking like a stubborn old man who wouldn’t run plays that were working throughout first halves and not playing to his players strengths. After the bye week, the Bears came back and won 5 straight games, we had fewer interceptions, more QB protection AND increased TDs. The only team, who scored more averaged points per game during that stretch were our rival Green Bay Packers. We all had hopes of another NFC championship throwndown with Aaron Rodgers and crew. And then Jay Cutler’s thumb was ruined by San Diego, and we were forced to endure the Kansas City loss (who took out Matt Forte), the Tim Tebow and Denver comeback, the Seattle loss (which nearly paralyzed Johnny Knox) as well as our Christmas day demise by Green Bay. And here we are, our final game against Minnesota starting Josh McCown and with a laundry list of players on injured reserve. So what exactly would be best for the Bears offense and their overall success? Do we fire Martz and put Cutler on the coordinator merry-go-round just when he was looking confident executing Martz’s offense? 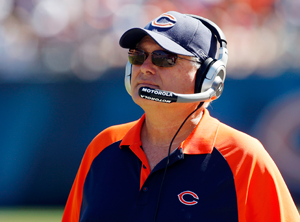 Martz is Cutler’s third offensive coordinator since being drafted to the Bears. If you look at quarterbacks like Aaron Rodgers and Tom Brady they have a few things in common: consistency, routine, confidence in the execution of their offense, and Superbowl rings. They have been able to perfect the original offenses they were given. I believe Cutler has the potential to be great, but would it be fair to throw another coordinator at him yet again? And if Martz stays, is his offense outdated and too predictable? Is Cutler better off with a new offense – actually having control and being able to call an audible? I have to admit, I am happy this decision doesn’t lie in my hands. YIKES.